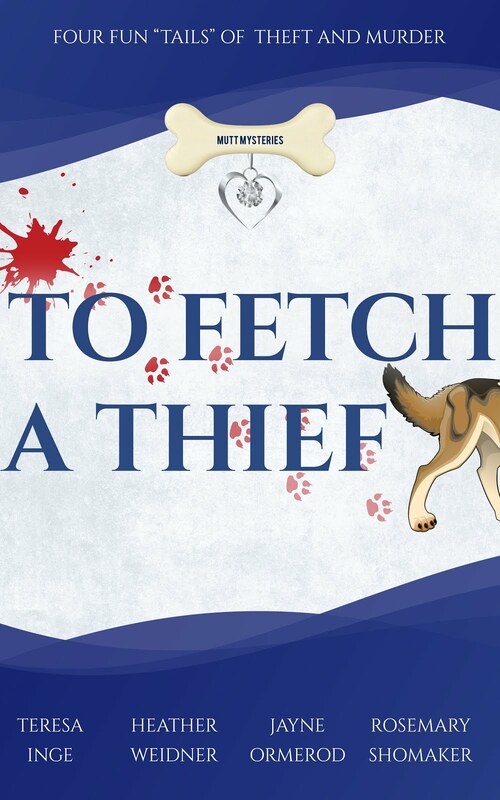 TO FETCH A THIEF . . .
. . . is the first book in the Mutt Mysteries series and is comprised of four novellas that have gone to the dogs. In this howling good read, canine companions help their owners solve crimes and right wrongs. These sleuths may be furry and low to the ground, but their keen senses are on high alert when it comes to sniffing out clues and digging up the truth. Make no bones about it, these pup heroes will steal your heart as they conquer ruff villains. Four Fun "Tails" of Theft and Murder . . .
Catt Ramsey has three things on her mind: grow her dog walking service in Virginia Beach, solve the theft of a client's vintage necklace, and hire her sister Emma as a dog walker. But when Catt finds her model client dead after walking her precious dogs Bella and Beau, she and her own dogs Cagney and Lacey are hot on the trail to clear her name after being accused of murder. Meg Gordon and her tawny terrier Cannoli are hot on the trail of a thief, a heartless one who steals rocks commemorating neighborhood dogs who have crossed the Rainbow Bridge. But sniffing out clues leads them to something even more merciless. . . a dead body! There’s danger afoot as the two become entangled in the criminality infesting their small bayside community. It's a doggone shame, and Meg is determined to get to the bottom of things.